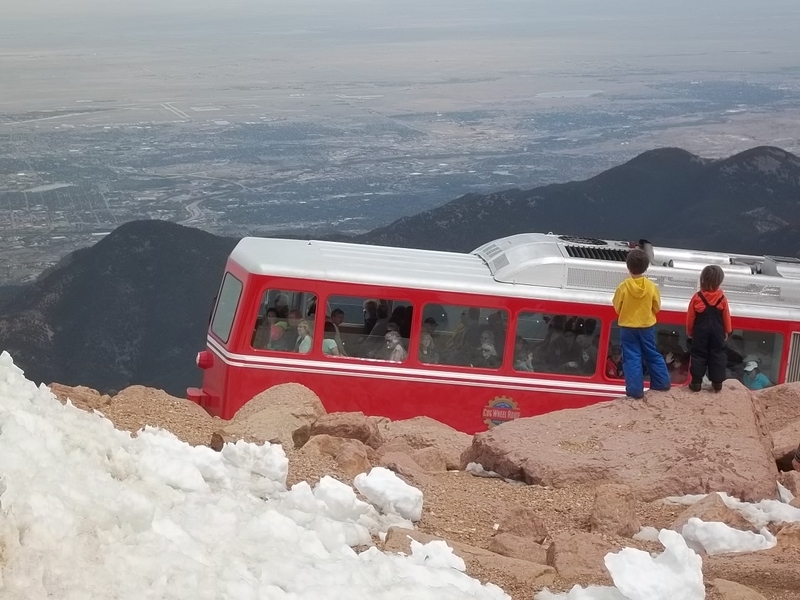 Pike’s Peak, the incline and Uncle Dan… | Hey Hunter! 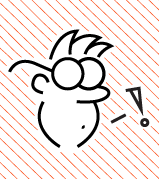 So i’m about two weeks late posting this, but i’m finally getting this thing off the ground (this blog) and it feels good. i’ve been dreading setting this up for like a month and of course it took me about six minutes to do. Anyway! 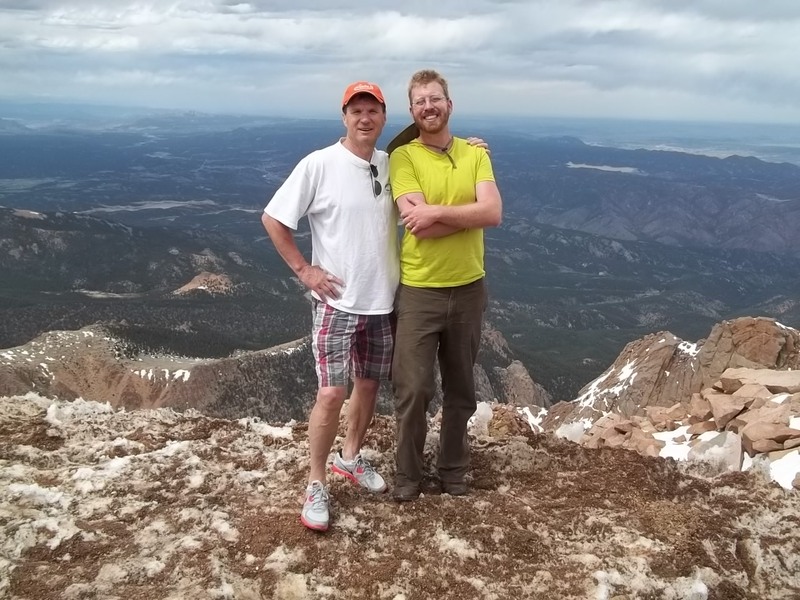 two weekends back (Memorial Day weekend) i went into co springs to see my one of my favorite family members, Uncle Dan. The rest of the Steevers are in different places around the US, but for now Dan is here by himself. We had such a great weekend. I came in on a Saturday and he took me out to eat some dinner and we were going to go to a show afterwards, but we wanted to do the incline in the morning so in the end we just went to bed. 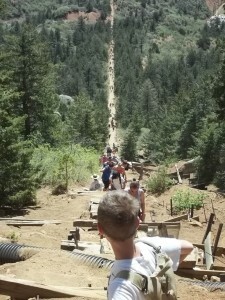 Ok so the incline. For you wiki freaks: http://en.wikipedia.org/wiki/Manitou_Incline. 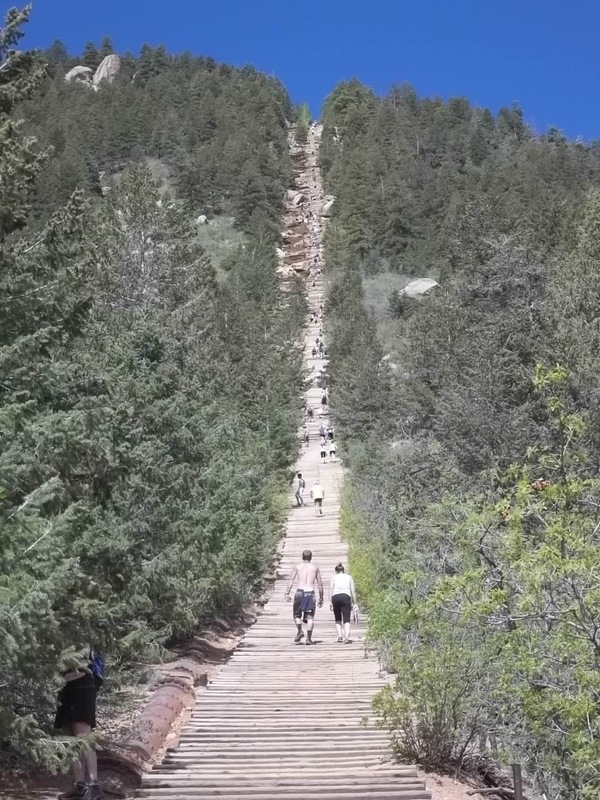 Someone told me it was about 2800 steps up and the consistent grade is about 45%. that’s massive. 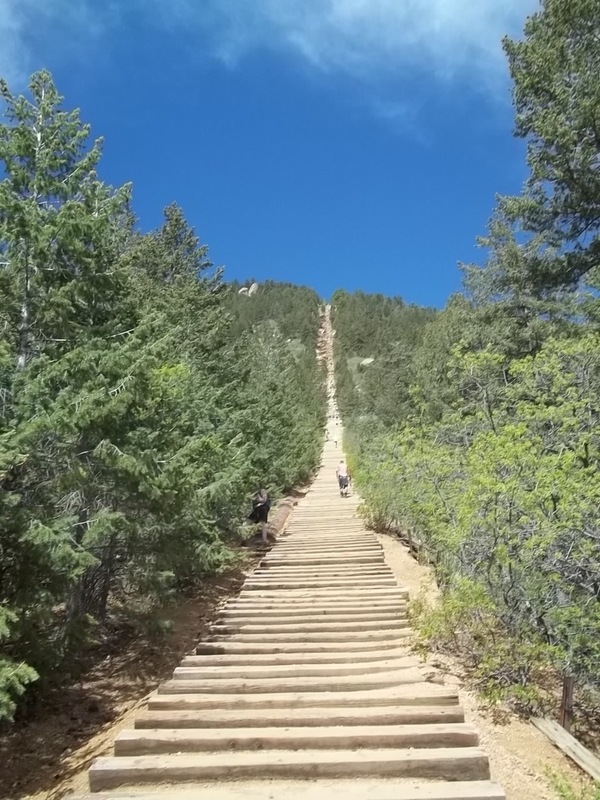 according to the wiki, which CANNOT LIE, the incline climbs 2,800 feet in about 3/4 of a mile. a mile is 5,280 ft, so that gives you an idea. as you can see, it was insane. 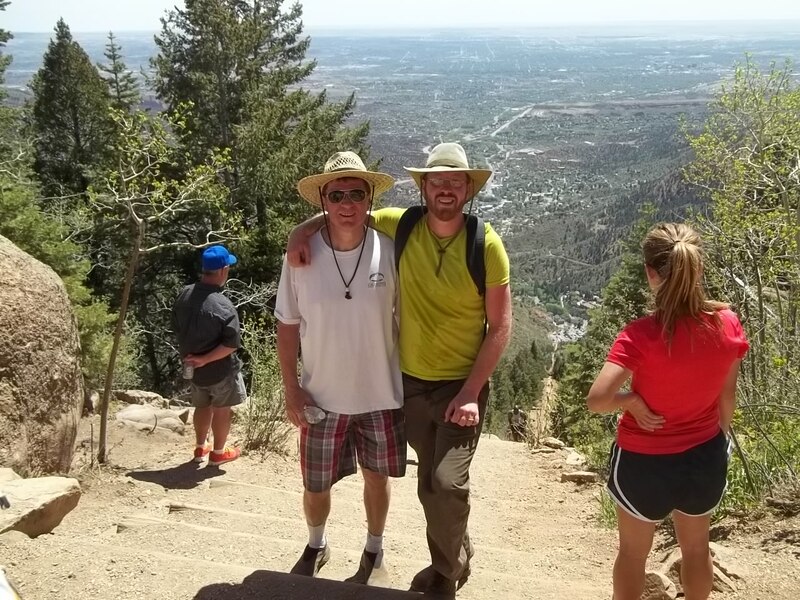 i’m only kind of fit, and uncle Dan is at least better off than I, but we made it up in a little over an hour. 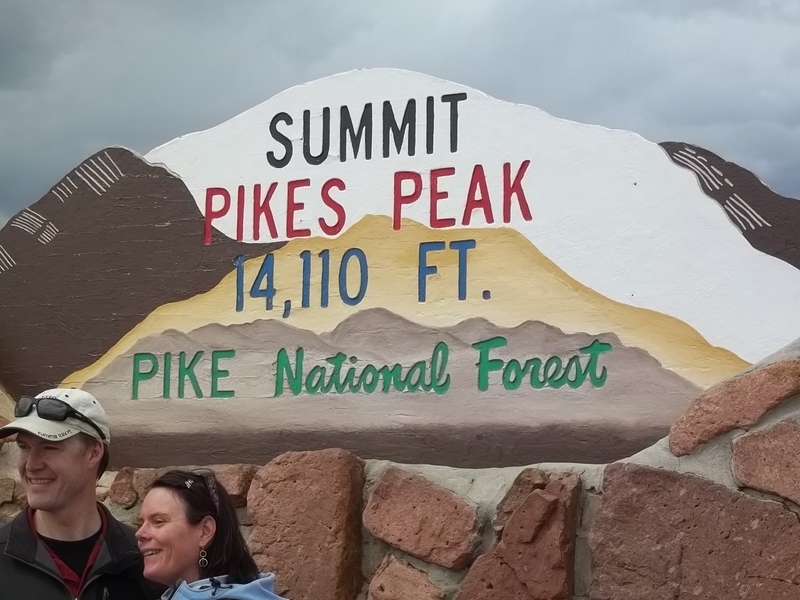 that middle picture looks like the top, but it’s a false summit, and it’s a real morale killer. when i was starting i had a goal to just not stop going up the entire time, but that ended up being a joke, i stopped like, 100 times. from there we got some great bison burgers at a place called the Keg. great vibe if you’re ever in the manitou springs area. afterwards it was up to pike’s peak, which is the mountain in the united state that one can (safely) drive up to. 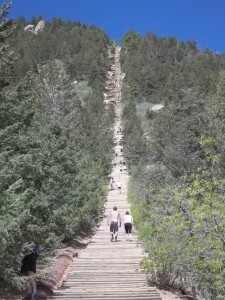 it’s about a 19 mile drive making your way up that beast and takes about an hour. i don’t really feel like doing the math, and i doubt you do either, but mile is 5,280 ft so this mountain in almost three miles high. the drive up was great, though it was somewhat taxing on your vehicle. a sign at the top of the peak says that 2 inches on the horizon represented 38 miles! that’s kind of hard to comprehend. anyway, even though the day could have been a little clearer, the view was amazing. 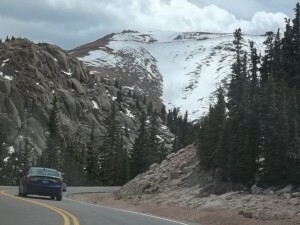 take a look at colorado sometime and you’ll see the the state is almost split in half between flat lands and mountains. the colorado springs area is right on that border. 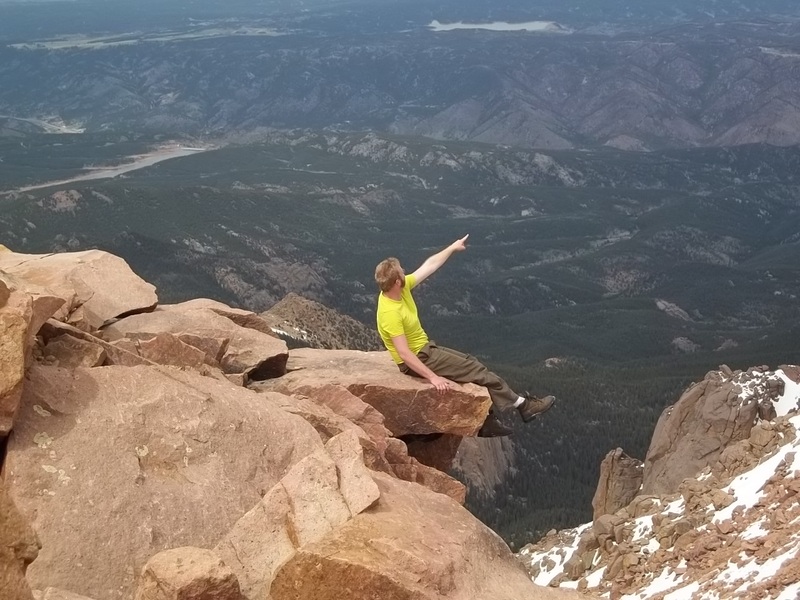 one side of pike’s peak is mountain chains as far as the eye can see and the other is flat lands. from there we took the long drive home (halfway down there’s a state worker there to check the temperature of your brake pads, b/c the heat builds up so much as you coast down. ours was in the 500F+ range so we had to stop for about 30 minutes and let those things cool off. if it gets too hot, your brakes can fail. most of the drive (down) you would maybe probably die if your brakes failed. we came home, got a few beers, made a nice dinner, and watched that Behind the Candelabra HBO movie about Liberace. Michael Douglas plays him and Matt Damon plays his lover. Matt Damon looks younger than me in the movie but it’s really good and i give it like 1000 thumbs up or something. thanks again to dan for hosting me for the weekend. Great guy! 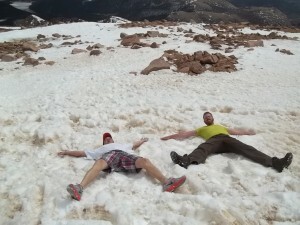 I had a blast hanging out with my neph for a few days in Colorado. Keep up your blog as I wait to read about each new adventure. You are seeing so much and meeting interesting people- not surprising given your infectious (that’s good) enthusiasm. Glad you met Ed. Have fun and see everything you can. Each experience will help you down the road. Thanks Dan. I had a great time w/you too, thanks for putting up a vagabond nephew. Rosario04 on We drove 300 miles across Idaho & didn’t see a single potato. 95Lesli on We drove 300 miles across Idaho & didn’t see a single potato.